Adding to the already generous private space of your room is our invitingly designed Resident’s Lounge – reminiscent, some say, of an airline’s ultra modern first class lounge. Zoned for maximum privacy and furnished for leisurely conversation and discreet gatherings, the lounge also offers the freshest cooked-to-order culinary delights from breakfast to dinner. For those who take their well-being to heart, The Olympian provides a state-of-the-art 24-hour Fitness Centre. 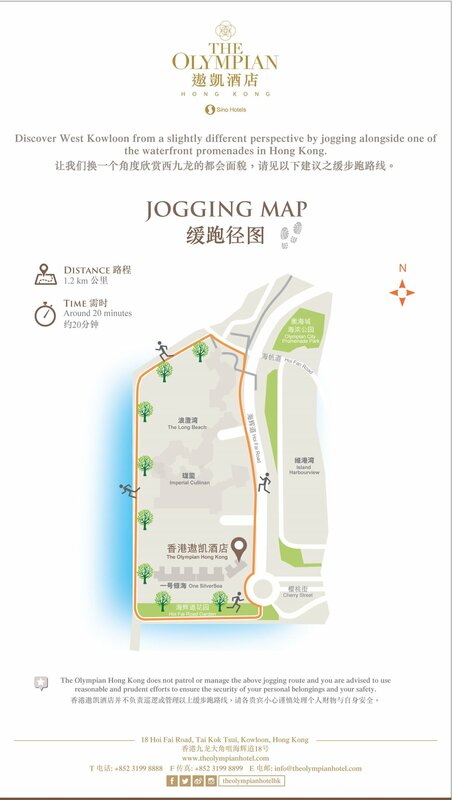 Instructors are available upon request and guests may follow our tailor made jogging map taking in breathtaking harbour views along the way. Whether you’re in a hurry to get somewhere, wish to make a grand appearance or simply desire a leisurely sightseeing tour of Hong Kong, there’s no finer way to travel in style.